Bengaluru-based Shadowfax Technologies Pvt. Ltd, which runs an eponymous business-to-business (B2B) logistics startup, has raised $22 million (Rs 151 crore) in its Series C round of funding led by US-based investment firm NGP Capital, a company statement said. Qualcomm Ventures, Mirae Asset and existing investor Eight Roads Venture also participated in the round. The firm will use the funds to expand its operations. Through this round, the company hopes to connect 4 lakh new businesses and delivery partners to its platform by 2021, up from the current 40,000 connections, the statement added. The new round of funding will take the total capital raised by the company to a little over $40 million. Prior to this, the company had raised $18.88 million from Eight Road Ventures, InnoVen Capital, Toppr founder Zishaan Hayath, and Snapdeal co-founders Kunal Bahl and Rohit Bansal, according to VCCEdge, the data research arm of VCCircle. 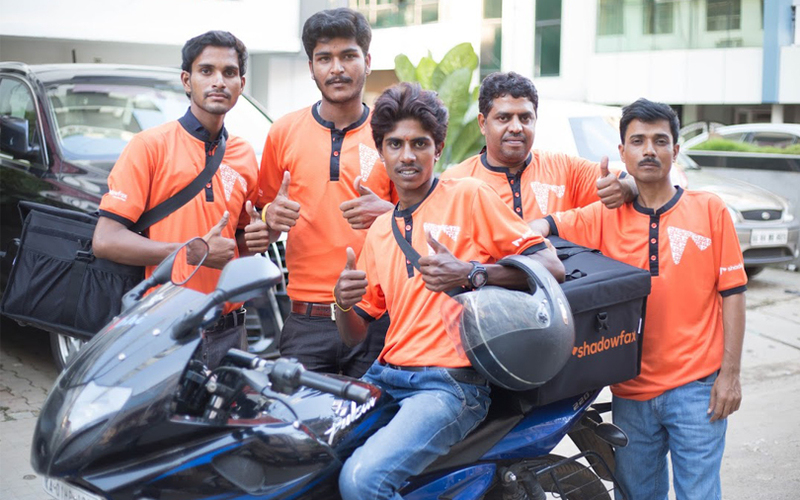 “The rise in Indian consumers’ expectations for doorstep deliveries at a time of their convenience has created a critical need for a national last-mile, independent logistics provider that can serve the needs of these demanding consumers and diverse suppliers at scale,” Upal Basu, partner at NGP Capital, said. Founded in 2005 and with more than $1 billion in assets under management, US-based NGP Capital invests in companies at their growth stage and focuses on markets like the US, Europe, India and China. Its other notable Indian investment is self-drive car rental startup Zoomcar. Founded in May 2015 by Abhishek Bansal and Vaibhav Khandelwal, Shadowfax provides intra-city logistics services to neighbourhood merchants, grocery shops, pharmacies and e-commerce companies. It initially started out as a food-only delivery player but has diversified across verticals over the years. The company is present across 80 cities and towns in India and plans to expand to over 100 in the next three months. Currently, Shadowfax fulfils more than 90,000 orders a day for its customers spread across sectors that include food, groceries, fashion, pharmacy, furniture, e-commerce and traditional business sectors, the statement said. Domino’s Pizza, BigBasket, Amazon, Paytm, Flipkart, Myntra, McDonald’s and 1mg comprise its clientele. As part of its inorganic growth path, in October last year, Shadowfax acquired the assets of e-commerce-focussed reverse logistics platform Nuvo Ex. For the year through March 2017, the company posted gross revenues of Rs 34.07 crore. Operating revenue came in at Rs 31.73 crore, almost a similar rise over Rs 9.27 crore in the previous year. At Rs 28.51 crore in 2016-17, net loss was slightly higher than Rs 25.57 crore in the year prior. However, the company managed to contain losses despite gross expenditure surging nearly 77% to Rs 62.58 crore from Rs 35.37 crore in the previous year. A number of ventures in the logistics space have raised funding since the beginning of this year, making the sector one an investor favourite. Last month, Tata Motors Finance Holdings, a wholly-owned subsidiary of Tata Motors Ltd, picked up a 26% stake in online freight aggregator TruckEasy for an undisclosed amount. In June, Mumbai-based e-commerce logistics startup Wow Express raised Rs 30 crore (around $4.5 million) in its Series A funding round from undisclosed existing investors as well as the Tamarind Family Trust. In the same month, logistics management startup Locus raised $4 million (Rs 26.8 crore) in a pre-Series B round of funding from new and existing investors. Also at the same time, Hey Deedee, a Mumbai-based startup, considered to be India’s only all-women last-mile logistics services firm, raised pre-seed funding of $500,000 (Rs 3.3 crore) from early-stage investor Metaform Ventures LLC.